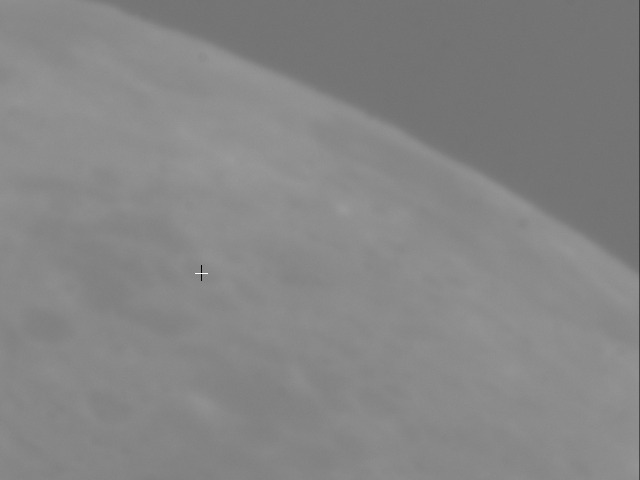 The following images of the moon demonstrate the effects of different optical filters for daytime-observation. The images were taken on 10. May 2008, around 14:30 UT+2. The camera (DMK41AF02.AS, a standard black/white CCD camera) and telescope (10 inch refractor) were the same for all images, only the filters were changed. The important aspect is to compare the brightness of the moon with the brightness of the surrounding sky. This contrast is vital for detecting thin/faint crescents. 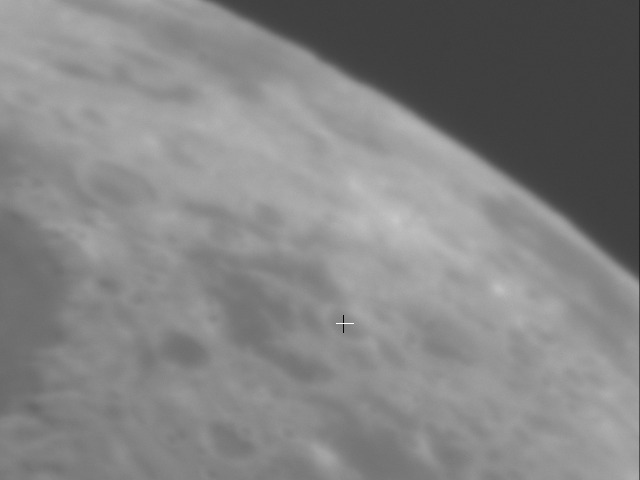 The same crater is marked in all images, to simplify comparison. Sharpness varies due to fast variations in seeing and differences in exposure. The most stupid choice in a blue sky. Contrast between sky and moon is very low. This might somewhat resemble human vision, which has maximum sensitivity in green light. Somewhat better contrast, than the blue filter. The contrast between moon and sky is visibly increased. The contrast moon / sky is drastically increased, but still the same moon, with the same structures. 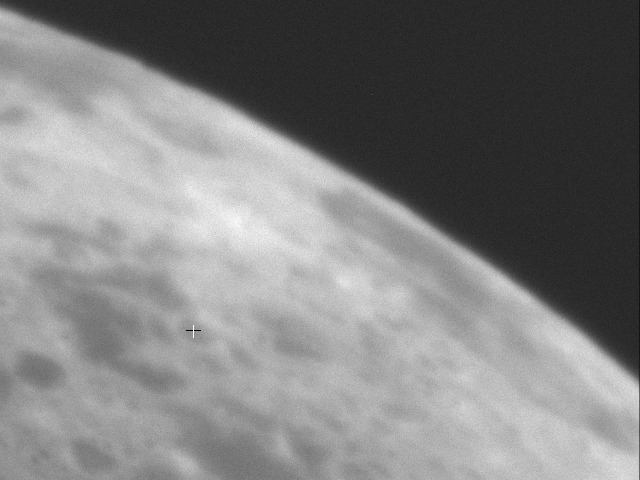 Near-infrared is not that different from visual light in how it shows the moon, but has a great effect on contrast. What is this "infrared" light? Near-infrared at about 850nm is very different from thermal radiation at about 5000nm! 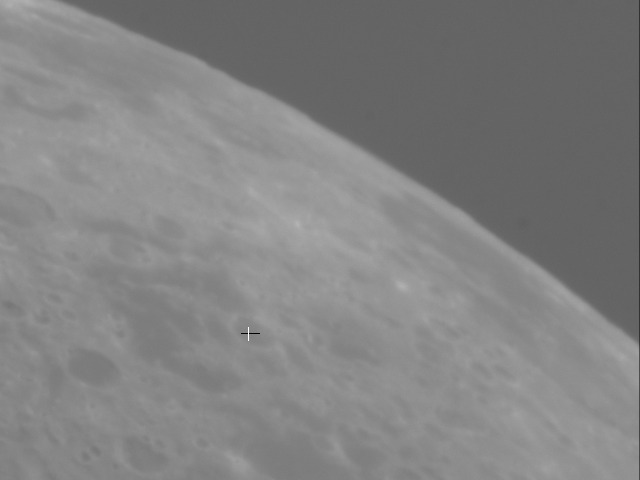 The Near-Infrared light captured from the moon is just reflected light from the sun, just as the blue, the green and the red light captured through the other filters. The moon is far to COLD to emit any relevant amount of near-infrared light due to its own temperature. All of what we see, and what our simple cameras can capture, is scattered light from the sun.